Safety is must! List this in your priority by customizing our Caution Label. 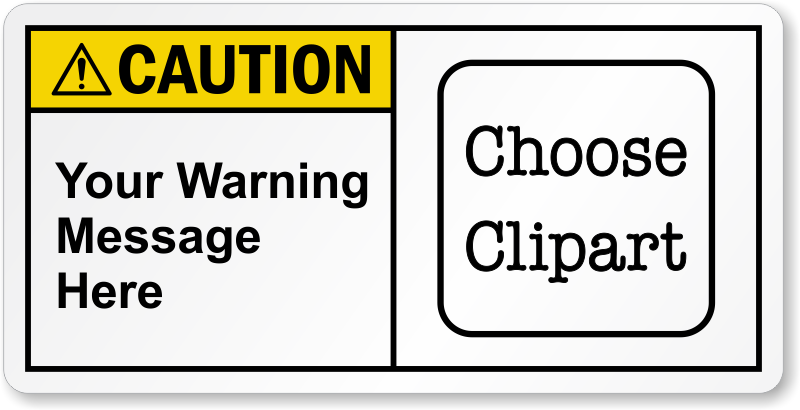 Add your warning message and choose clipart from our huge library. Labels resist water, chemicals and abrasion.